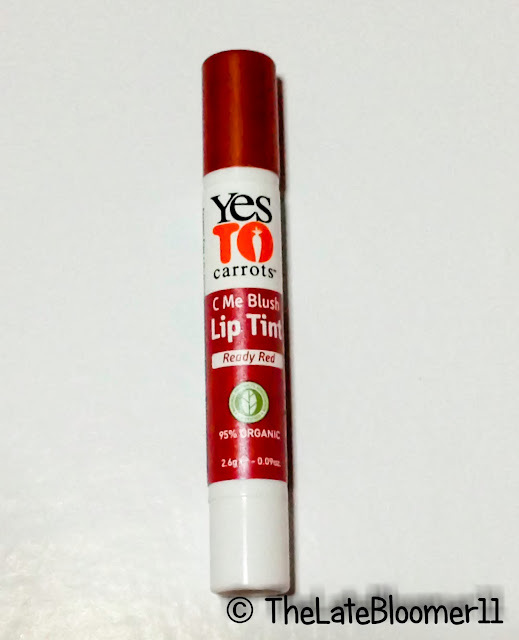 If there’s one thing now that I absolutely always carry with me wherever I go, it’s this lip tint that from Yes To Carrots which I got thru Bellabox. See my uboxing post here. Yes To Carrots Lip Tints soothes, conditions, moisturizes, and gives you that extra bit of colour that will make you pucker up with beauty pleasure! JUDGMENT: Ever since my lip tint from Maybelline, this is the only time (again) that I’ve become clingy to a lip product. It’s super travel friendly that I can simply throw it into my pocket whenever I need to go out and my lips already feel safe and sound for the day. Since I got this from Bellabox, I’ve been obsessed. I put it on in the morning right after my normal morning skincare routine, in the afternoon after having my lunch and at night before I go to bed. It’s currently my most worn lip tint in my collection. What I like most about it is its unique scent. It smells and tastes (well, c’mon! it’s hard not to taste your lip product) mint. At first, I thought that was weird and I didn’t expect to like it in the long run, but I did. It grew on me and I can’t be happier. It promises to soothe, condition and moisturize the lips. CHECK! I’m prone to having chappy lips especially when I fail to drink lots of water but ever since I used this lip tint I noticed that my lips stay hydrated the whole day. In fact, whenever I put this on at night before bedtime, my lips feel plump and healthy when I wake up in the morning. It claims to give a refreshing tone of color. Another CHECK! I have exaggeratedly pale lips due to iron-deficiency issue, which is why I prefer lip tints over colorless lip balms. It claims to have coconut, jojoba & sunflower oils. Now, if you don’t know it yet, coconut oil is considered to be one of the best cures to chapped lips. Same goes with jojoba oil which is known for its ability to reinstate the natural moisture back to our lips making them softer and smoother. And as for sunflower oil, they say that it claims to lighten dark lips but I can’t vouch for that yet. I think that these ingredients are what making this lip tint an effective product. It indeed helped me with my chappy lips. It claims to be 95% Organic, Paraben & Carmine Free. It’s definitely a relief to find a great product that is paraben free and 95% organic. And take note: it is carmine free as well which means there were no scale insects harmed in the creation this product. Hoorah! I’d love to repurchase it, but honestly, I still have a bunch of unopened lip balms/tints, and so it’s for that reason alone that I’d have to pass on repurchasing this lovely lip tint from yes tocarrots. I 100% like it but I don’t believe that it’s wise to keep on purchasing new things when I still have a lot that I haven’t even touched. YES!!! If you’re in the hunt for the perfect on-the-go lip tint, this is your guy! 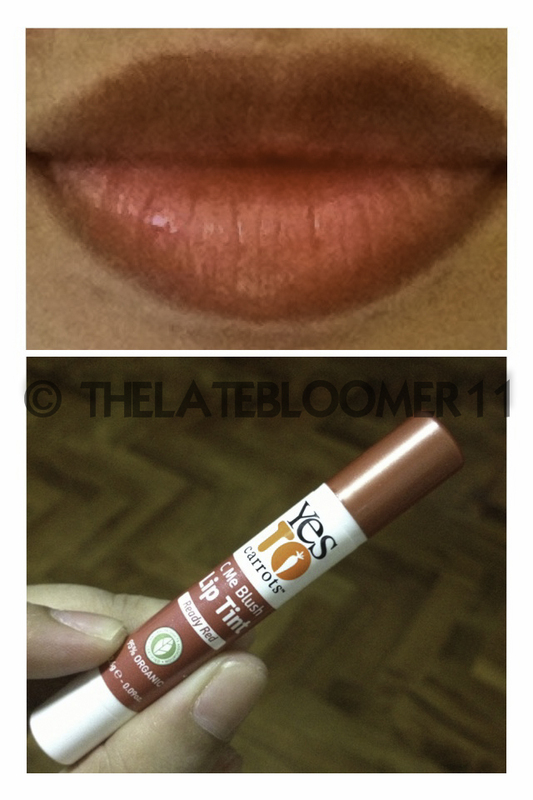 To my beloved readers, have you tried any YES TO CARROTS products lately? Do you recommend it? Why and why not? Thanks for reading!